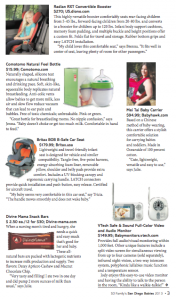 Baby Hawk Featured in San Diego Family Magazine! 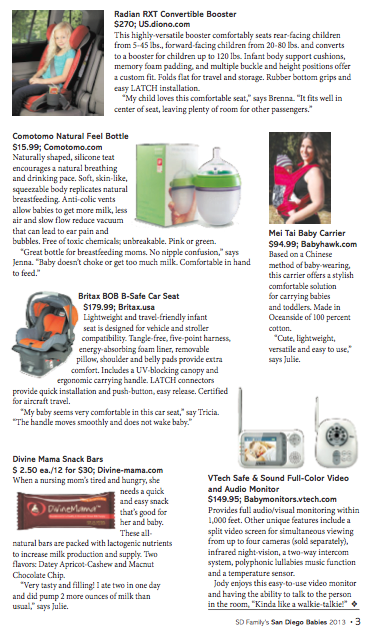 Congratulations to our Client, Baby Hawk,Â for their recent feature in San Diego Family Magazine! The modern Mei Tai is borrowed from the ancient Chinese method of babywearing. Â Today’s Mei Tai come in a variety of colors and patterns, offering on-the-go families an excellent, comfortable, and stylish solution for carrying babies and toddlers.Â Mei Tai offer caregivers three positions for babywearing (front, back, and hip) and can be tied for a custom fit. BabyHawk is dedicated to quality carriers that reflect the style of each baby wearer and the creation of jobs in USA.Â Your new Mei Tai is proudly made to order in in Oceanside, California with 100% cotton chino twill and 100% quilting quality cotton. Check them out atÂ www.babyhawk.com!